The Detroit duo of Joshua Epstein and Daniel Zott have shucked the jokey “Dale Earnhardt” part of their name, returning as simply JR JR with a more direct and cohesive third album. 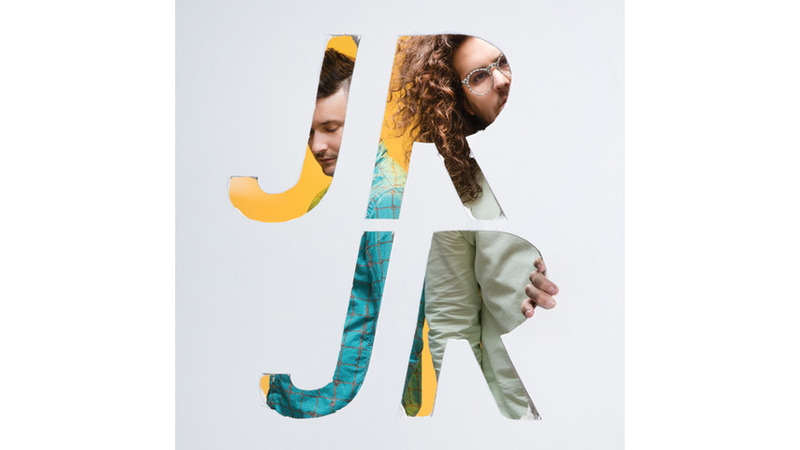 On a record that largely deals with the subjects of identity and individuality, JR JR fittingly has forged ahead on a steadier and more purposeful musical path. Five years since forming the band, Epstein and Zott remain purveyors of kaleidoscopic pop music, but at every level, their craftsmanship is improved. JR JR is a tighter, smoother weave than the adventurous yet sometimes jumbled It’s a Corporate World and The Speed of Things. The immediately gripping “As Time Goes” introduces the album both sonically and thematically, a bright, surging burst of infectious synth-pop that perfectly frames the notion that life is a fleeting joy. The years of experience Epstein and Zott have gained as bandmates have enhanced rather than dampened the enthusiasm in JR JR’s music. Epstein and Zott have always come at their craft naturally, having absorbed Detroit’s musical history, from the melodic Motown charms of their parents’ generation to rising dance culture of their own formative years. On this, a purposefully self-titled album, they’ve settled the kids-in-a-candy shop excess and drawn their focus to a fine point.